Centre for Toxicology & Developmental Research. Centre for Life Style diseases modification and prevention. 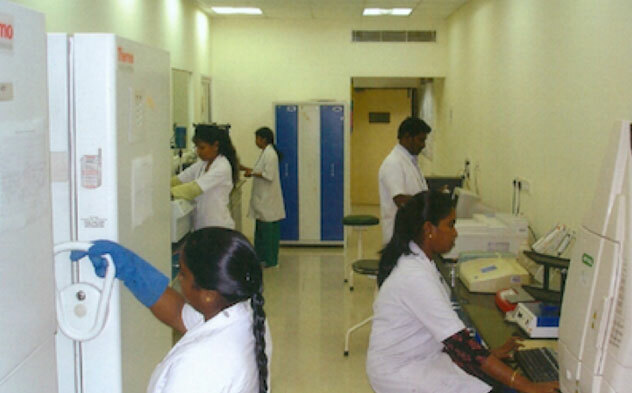 Centre for Indian Systems of Medicine Quality Assurance and Standardisation. Centre for Regenerative Medicine and Stem Cell Research. Centre for Pre-Clinical and Translational Medicine & Research. Health Professional Education & Faculty Development. Centre for Healthcare Quality & Patient Safety. Centre for International Patient services. 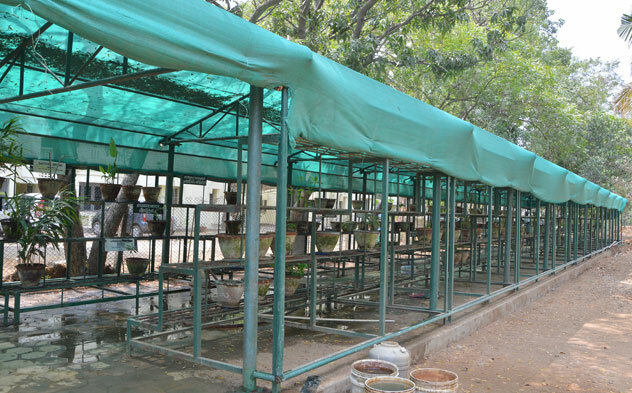 All research and development activities of these Centres of the University are coordinated by the Dean [Research]. 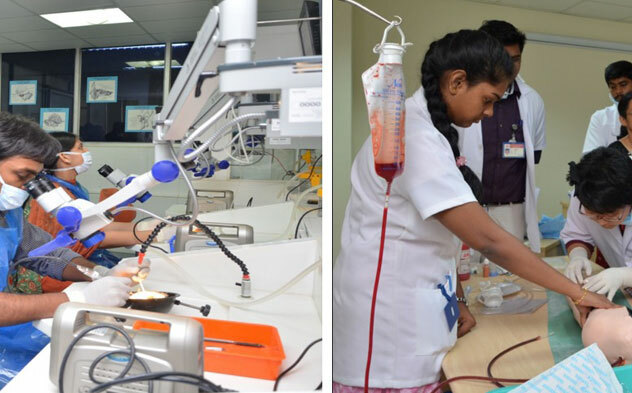 The major and minor research projects operational in the University are broadly classified as (a) International collaborative projects, (b) Sponsored research projects funded by national agencies like Department of Science and Technology, Department of Bio-Technology, Indian Council of Medical Research, AYUSH, Defense Research Development Organization etc., and International funding agencies like NIH, Fogarty, Welcome Foundation, MRC London, Smile Train, Canada etc., (c) Industry - institutional R&D consultancy projects jointly funded by DST, industries and international agencies, (d) Multinational and multi centric clinical trials, and (e) Individual research projects by faculty. Besides the above extramurally funded research projects, the university from its own budgetary allocation awards (i) UG – Summer Research projects (ii) PG Dissertations/PG Projects (iii) M.Phil & Ph.D. projects (iv) Chancellor Ph.D. Research Fellowships and (v) GATE Research Starter Grants to Young Faculty. 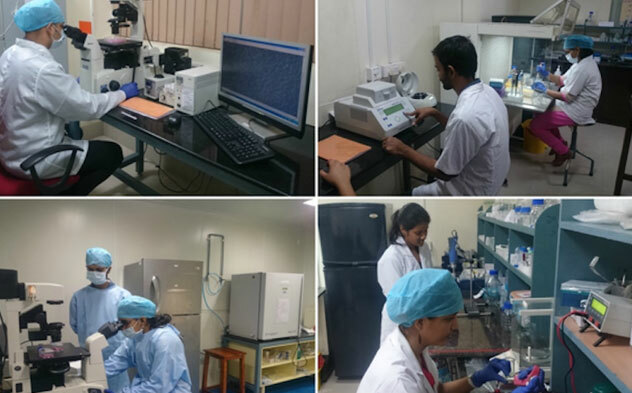 The integrated MD/MS-Ph.D. Fellowships sponsored by ICMR is a flagship program of the university for medical post-graduates.